Course Completion Challenge -- Open for business! Re: Course Completion Challenge -- Open for business! Comments: I’d like to work through some textbooks due to concerns regarding standard body of knowledge. Finishing Dave and Helen in China by the end of 2016 should be reasonable. For a number of reasons, I tend to lean toward Yale publication materials. Afterward, I will probably pick up the textbook “Taiwan Today” and hopefully finish that by fall 2017. I’m thinking of taking the ACTFL OPI at the end of 2017. 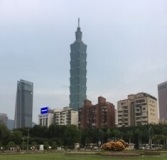 I am heading to Taiwan in about 1 ½ weeks so will not post a link to my log at this time.... don’t expect to post again on the forum until probably Sept.
Am having some motivation issues and then realized that I'm being too idealistic.... I should just get through the material in a reasonable amount of time . I can go back later and revisit things which is how my Glossika material is being handled. So I'm changing the completion date to coincide with the Chinese Lantern Festival which is Feb 11, 2017. That holiday marks the end of the lunar new year celebration. Cavesa wrote: How is everyone doing in September? This Challenge was very motivating for me in August, but I lost my rhytm for obvious reasons. So, I am now updating the goals, as they have slightly changed, and this time, they will be smaller and the deadline is the end of September. Ok, a week and a bit later than planned. But as usual, my unrealistic goals lead me to not that bad results. 1. Gramática de Uso del Espanol B (fear me, Brun Ugle! ) Finished only 13 units out of 116 so far. 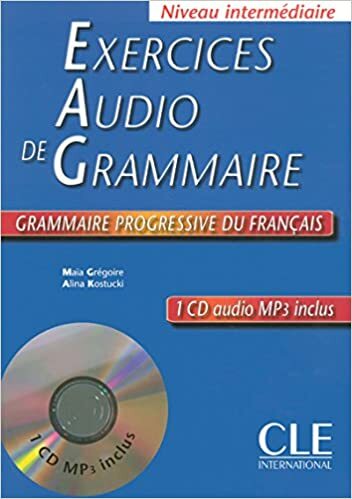 2.Grammaire Progressive, Perfectionnement. Read it almost two years ago. Haven't done most of the exercises. That is the task now. 3.Themen Aktuell. Finish the blue level finally, and at least the first half of the orange one. 4.Gold list, finish the 4000 Wortschatz. Mamapata, it is not too late at all. I am looking forward to your progress and reading your log (I have started already, if I remember correctly). Snowflake, the Chinese Lantern Festival sounds like a great completion date. Basically, one 7th of the planet's population will be celebrating your success at the CCC, not a bad plan! LearnThaiPodcast (LTP) is divided into five modules. I have finished the first module which consists of Phrase Lessons, Beginner Lesson Cycles and 300 Most Common Thai Words. I had originally said I would finish all beginner podcasts but in fact I have changed that to only completing the first module. ThaiPod101 (TP101) has Absolute Beginner followed by Beginner. I prefer to finish the TP101 Absolute Beginner lessons prior to starting LTP module 2 as I want the levels to be about the same. I'm abandonoing my huge course mission. Well so far in at least that i'm not going to do courses all day every day (exaggeration in part). My main activities were courses. I'm dividing my time up now in a more balanced way to include more reading and more varied activities. I'm reducing my current goal to completing one course for the moment. I'm likely to still target my 'Big 5' courses that I had intended on completing, but I will focus on one to two courses at a time and be sure to do other activities as well. So how do I make working the textbook reinforcing? Update; I cannot think of anything to use for PreMack. I use Starbucks to motivate myself to attend a Mandarin speaking group where I have to read aloud but buying Starbucks say 4x a week is unfeasible to say nothing of all the extra sugar. I'm made some progress, although less than I had anticipated. For a long while I was not working on any of these course commitments, but have recently started again. I'm doing a few pages every day which is small enough to not overwhelm my other activities, and enough to make progress. Dropping: I don't think these are needed given my extensive reading and Anki usage. I'm aiming to have them both finished by November. 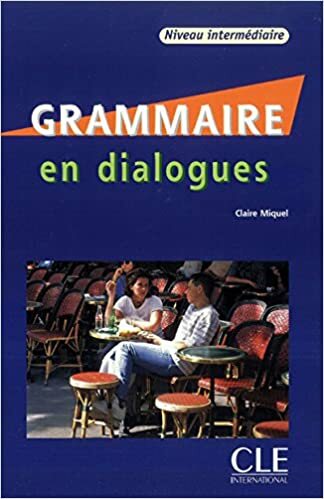 Update: I finished the exercices audio de grammaire course, but I didn't start the grammaire en dialogues niveau intermédiaire course because I've found that I work better while focusing on one course at a time; my other time Is spent immersed in books and podcasts and shows,so I treat these courses as an ancillary form of studying. I put grammaire en dialogues on hold, yet again, in favor of the Exercises audio de grammaire course because I can do the audio course on my walks, which is far more enjoyable than sitting at my desk and straining my bad eyes at a book (I need new glasses). So, I finished half my challenge! I'll focus on the positive and be happy with that. Next challenge? well, it's getting cold, so my walking time will be decreased and my "desk time" will be increased, so I'll try to finish the grammaire en dialogues series (finally), both the intermédiaire and avançé levels. I don't think I'll put a time limit on it because it just adds unneeded stress to my life. Hopefully everyone else is chugging along with their courses! My study routine has morphed into primarily using Glossika and iTalki lessons with the “David and Helen in China” textbook as a supplement. Interestingly these three complement each other very well. 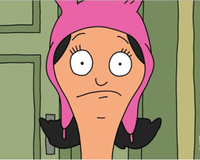 Since I plan to take the ACTFL OPI next year the iTalki instructor is focusing on preparing me for that. The upshot is that I'm officially withdrawing from this challenge. I might as well update my changes as well. I renonced my big course mission a little while ago of "PM's Big 5". My study routine finally felt too course heavy, enough for me to be ready to diversify my routine. To focus on the present in terms of courses, my current course I am aiming to complete is Assimil Using French, of which I'm making progress slowly but surely and am 3/4 of the way through the first wave. Finishing the first wave by the end of the year seems like a nice target, but if it doesn't happen, I'll surely complete it in January. Last edited by PeterMollenburg on Sun Nov 06, 2016 11:55 pm, edited 1 time in total. snowflake wrote: My study routine has morphed into primarily using Glossika and iTalki lessons with the “David and Helen in China” textbook as a supplement. Interestingly these three complement each other very well. Since I plan to take the ACTFL OPI next year the iTalki instructor is focusing on preparing me for that. The upshot is that I'm officially withdrawing from this challenge. Thank you for setting it in motion!